We can’t satisfy “the world,” so let’s stop trying. Tzipi Livni, Israel’s Justice Minister and the one who more or less carries the flag of the Left in the government, was quoted today saying something like “we need to end this soon, or the world will get tired of the violence and end it in a way that will not be good for Israel” (sorry, I don’t have the exact quote, but this is close). Why do I mention this? Because it illustrates a certain mindset that we need to leave behind. It places Israel in the position of supplicant toward “the world.” It suggests that we need to make “the world” like us, or more accurately, not dislike us enough to take action against us. How do we do this? By acting even more ‘morally’ than the US and Europe, by living up to the standards set by the world for Israel alone, standards that no other country comes close to meeting, but that we are expected to exceed. Do the US and NATO kill 3 civilians per combatant in urban warfare, in wars of choice? Then even if we maintain a 1:1 ratio in a defensive war we have to try harder, or be accused of ‘disproportionate’ actions. We are expected to provide water, electricity and humanitarian goods to an entity with which we are at war, one that initiated the war and more or less commits continuous war crimes by attacking our civilian population, firing from within its own population. Would even Canada do this? In our negotiations with the Palestinian authority, we are expected to make greater and greater concessions “to build trust” when the PA has not softened any of its demands since its creation in 1993, and when it continues to incite its population to hate and murder Jewish Israelis. Today we are enjoined to stop the war while Hamas still has the ability to bombard Israel with rockets at will. We are expected to take our losses but eschew victory, because war is bad. Livni’s enterprise to be so beyond reproach that the world won’t “get tired of us” may be impossible. 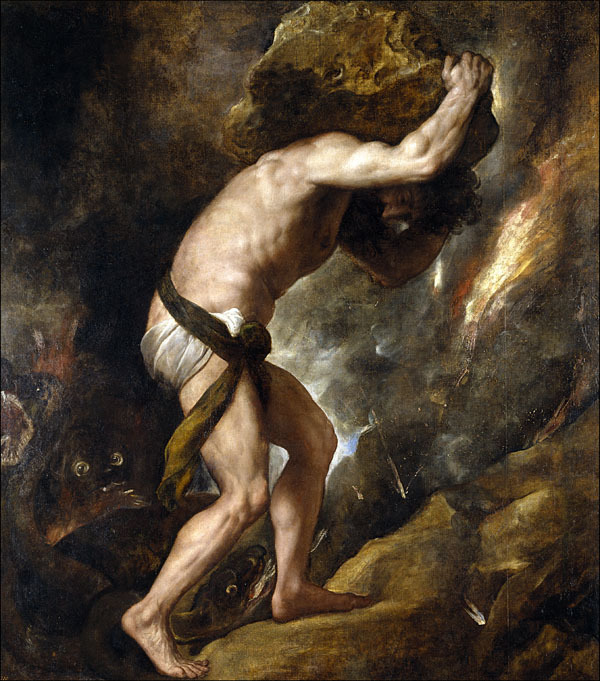 It’s a Sisyphean task, and not only because “the world” seems to have a natural tendency toward being fed up with the Jews no matter what they do, but also because our enemies understand the dynamic very well and constantly work to provoke us. A paradigm case was the Mavi Marmara affair in 2010, when a Turkish Islamist group joined a flotilla of ships sailing to Gaza in defiance of Israel’s blockade. Vladimir Putin probably would have sunk the ship without thinking twice, but the IDF landed naval commandos on its deck armed with paintball guns, who then had to defend themselves against vicious thugs wielding iron bars and knives. The soldiers had to use their sidearms to keep from being murdered, and the resulting deaths were blamed on Israeli ‘brutality’. As a result, the US demanded that Israel loosen its blockade, and even ‘apologize’ to the Turks and pay compensation to the families of the terrorists that tried to kill our soldiers. The fact is that “the world” will always find some way that Israel doesn’t measure up to the ideal moral standard that it has set up for us, and if we make heroic efforts to do so, then it will move the goalposts. Livni’s remark is symptomatic of what historian and psychoanalyst Kenneth Levin calls “the Oslo Syndrome:” the disorder characterized by the tendency of its sufferers to believe that they can overcome Jew-hatred by making themselves better. Someone with Oslo Syndrome internalizes and comes to accept the accusations of Jewish corruption and moral inferiority made by the Jew-haters, but believes that he or she can gain their respect by proving them wrong. The problem is that Jew-hatred is a characteristic of the hater, not the Jew. A Jew can’t ameliorate it by changing in any way, which is why trying to do so is so frustrating. What a Jew can and should do in the face of Jew-hatred is defend himself. This is both practically and psychologically beneficial to the Jew, and may even act to reduce Jew-hatred. What is true of the individual Jew is also true of Israel, the Jew among nations. The IDF can go to even greater extremes to protect civilian residents of Gaza, but it will never go far enough to satisfy “the world,” which is insatiable for Jewish self-abnegation. Israel’s primary responsibility is to protect its citizens against attack. It does not need to try to gain approval by living up to fanciful standards that no other nation has ever met. Today we need to continue the war in Gaza until Hamas has been completely neutralized as a military force, and effective arrangements can be made to keep it that way. Livni should stop worrying about “the world” and concentrate on that. This entry was posted in Jew Hatred, War. Bookmark the permalink.